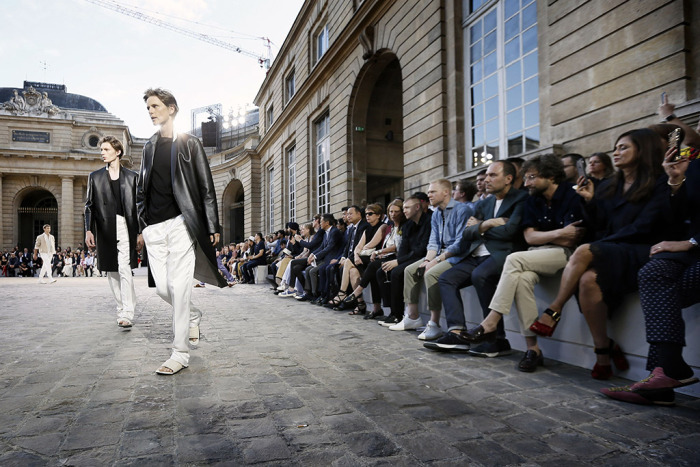 Haider Ackermann assumed position of creative director at the menswear house of Berluti in latter months of 2016. When he presented his debut at Paris Fashion Week on January 20—the day of President Trump’s inauguration—the exquisiteness of his clothing gripped one’s attention and detracted from the enervating happenings in the US. His sophomore effort was shown in a Parisian courtyard. His inspirations are marked by his understanding of how men are dressing today. He taps into sportswear themes and interprets them in terms of luxury fashion. It isn’t as garish or vulgar as Dolce & Gabbana’s exploration of athleticism, it is polished and elegant. Vest tops are paired with slim-fit trousers; polo shirts adapt to the wardrobe of the working man; casual bomber jackets add flavour to otherwise severe outfits. Furthermore, his study of ‘wardrobe staples’ and which shades to render them in is as fascinating as it is mouth-watering. The collection’s palette is a mix of whites, yellows (sunshine, lemon and mustard), bottle green and olive. ‘Rich’ is an appropriate descriptor. The relevancy of how radical the collection is should to be noted. 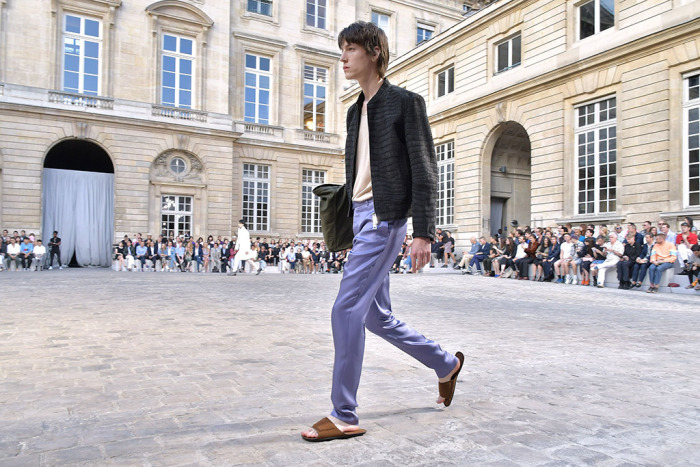 Consider the taupe jacket and matching trousers, the black leather coat, the pewter bomber with lemon tapered trousers—compare that to the loudness of most things presented in London, Milan, Paris, New York. The simplicity of the overall look is wildly different and minimalism has never been as radical as it is now. 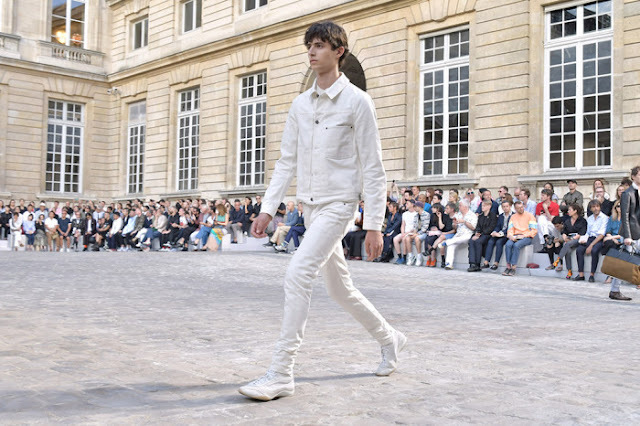 Fashion is cyclical and the times aren’t determined by one mood—minimalism emerged in the aftermath of the financial crises in the latter half of the previous decade, when economies were declining: ‘stealth wealth’ it was dubbed. Now, minimalism is the sociological antagonism to the rise in maximalism, as led by Alessandro Michele’s Gucci remodel. The entire Berluti collection is built on simplicity, comfort and the notion of being well-soled. The necessary element of fantasy derives from the pieces’ fabrics—it is luxury at its finest; those leather coats will retail for upwards of €5,000. His clothes aren’t staid whatsoever, rather powerfully poetic. 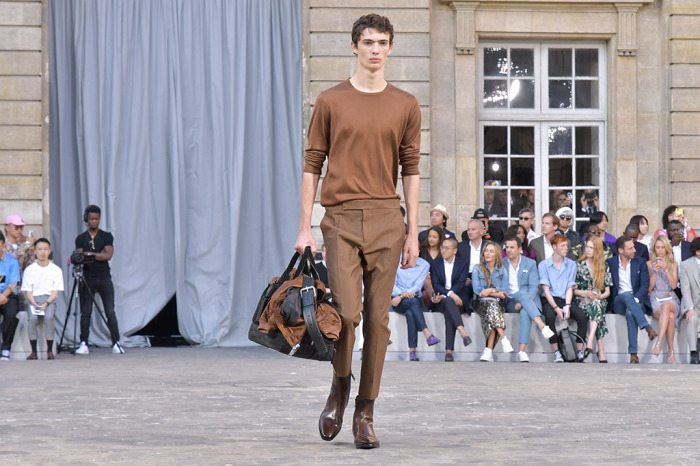 The purpose of minimalism is ‘less is more’, and at Berluti the statement couldn’t be closer to the truth. 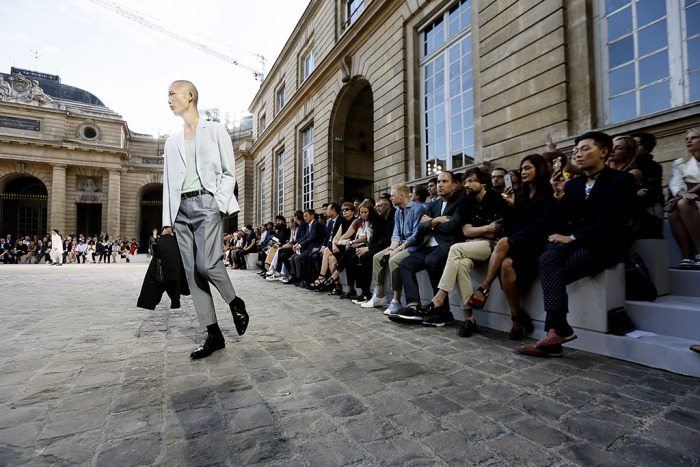 Haider Ackermann is transforming something forgotten-about into something worth dreaming about.